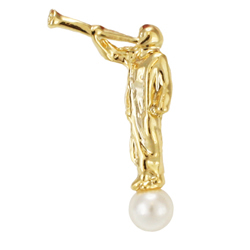 One of our bestsellers, the Captain Moroni Tie Tack is a powerful reminder for priesthood holders everywhere. 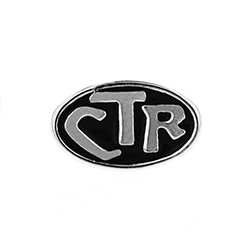 It is made of a metal allow and features an antique silver finish. 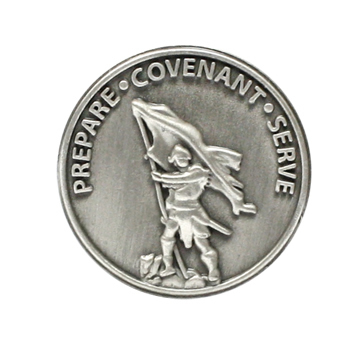 It is approximately 3/4" in diameter and has the words "Prepare Covenant Serve" on the top of a deception of Captain Moroni hoisting up the Title of Liberty. They make a great individual gift or you can buy in bulk for a discount to give to your church classes. 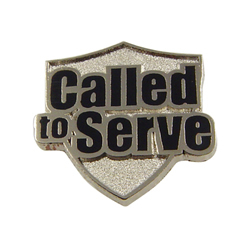 We awarded these pins in our Priesthood and Temple Preparation Preview. The young men really liked them. I thought they were perfect for the occasion. We used them for birthday gifts for the Primary boys in our ward (the girls got necklaces)! So cute! 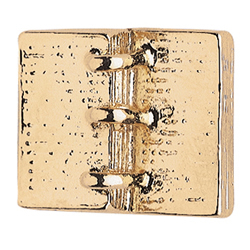 I love this tie pin. A reminder of integrity and victory! Very nice, however the pin on the back is short making it hard to go through the two layers of the tie and not long enough to attach to the shirt. So a chain on the back would also be nice.